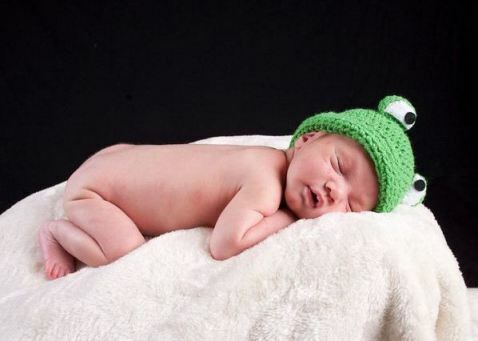 Dexter has gotten the nickname of "little froggy" because of the way he bends his legs during tummy time, so I created a traditional "make your baby look like an animal" beanie to capitalize on his favorite position. 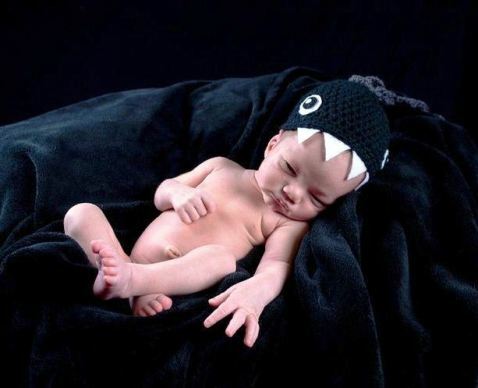 These shots were taken when he was 2 weeks old, and amazingly, he's already outgrown the adorable Chain Chomp hat that I made in my precious waking hours. So since he only got to wear the hat twice, I'll be setting up a giveaway soon so that someone else can have the pleasure of geek-a-fying their newborn's noggin. Be on the lookout for my next post! Good luck with the sleep deprivation part, don´t worry, he´ll soon sleep all night.